It was my last day in Hiroshima and it wasn't long before I had to make the train back to Osaka. 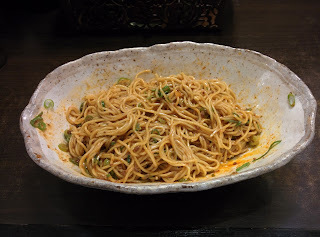 I had already eaten spicy tsukemen that day, but it felt somehow like it was not enough. I consulted the map again, and discovered Musashibo, one of the few tantanmen places that was open on Sunday. 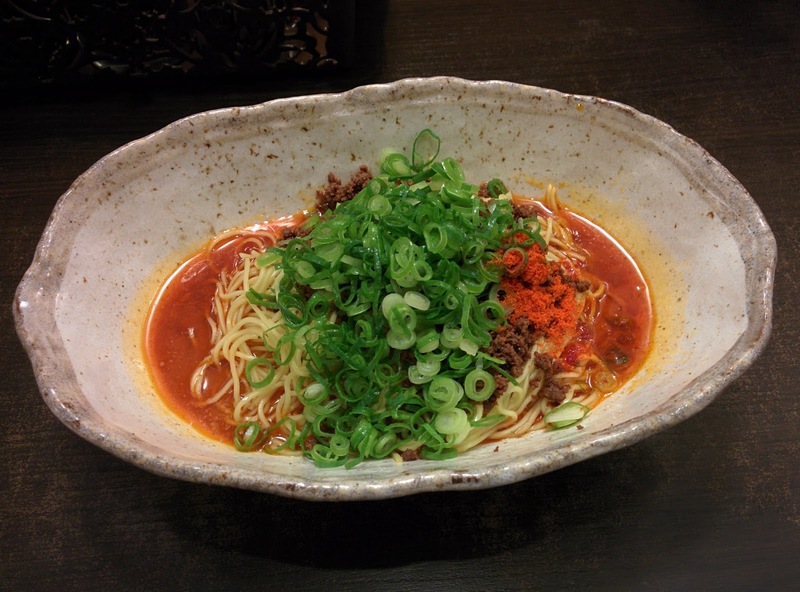 This time I went with a paltry spiciness level 3. 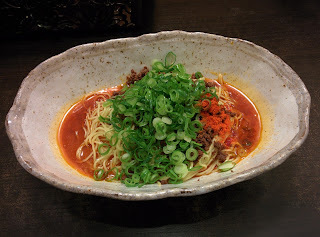 Musashibo's tantanmen was a slew of short noodles in a spicy, red sauce. What made this bowl stand out more than others was the amount of sides they had. Three kinds of chili pepper were offered: green, red, and young, along with their house special that was a mixture. Of course I had to try all of them one by one. The green had a strong aroma, and its spice when straight to my nose. 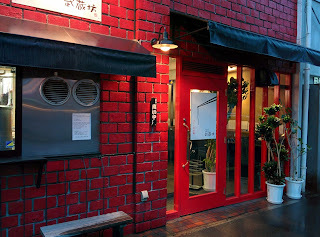 The red was crunchier, and had a bit more flavor to it. The young one was less spicy than the others, but had more peppery taste to it. I mixed and matched, and by the end could barely feel my tongue.